26 | June | 2015 | Troy C. Wagstaff aka CallahanWriter Blog: Topics of interest include Western Historical (1865-1899) Topics. Additionally inspirational Christian and Fibromyalgia interests. 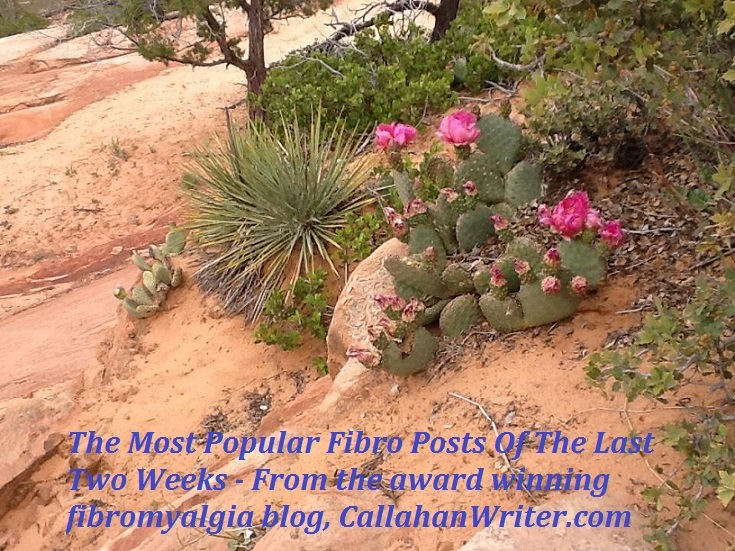 I plan on posting about every two weeks a post of links to the most popular fibromyalgia posts. Since this is only the second time this year that I have done this, this post will have a larger list than upcoming posts. This post talks about depression from the standpoint the having fibromyalgia is depressing and that depression is one of many symptoms of fibromyalgia. A victim is someone who has had something bad happen to them, against their will. This article explores that idea in regards to fibromyalgia. CallahanWriter.com was a recipient to the 2015 Visibility Award for an article on my 31 year journey with fibromyalgia and the efforts of the blog to explain one of the biggest invisible illnesses to the public. This article asks the question “Is fibromyalgia the end of the life as we know it and then examines the issue in detail which includes a part 2 article and there will be one or two more posts related to this topic. The movie Cake with Jennifer Anniston is about a character with chronic pain. I look at the movie from the perspective of one who has fibromyalgia. thirty-one years ago I has mis-diagnoses with Ankylosing Spondylitis, a form of arthritis. This non fiction short story takes you though my journey finally getting an accurate diagnosis of fibromyalgia and eventually the proper treatment for it. Explores other aspects of fibromyalgia beyond the common symptoms of pain, fog and fatigue. This post delves into the annoying symptom of fibro fog.